Management guru Peter Drucker once famously said, “that which can be measured, can be managed.” And this certainly applies to marketing. Think of it as keeping score. You want to find out what’s working and what’s not, what are the hot buttons of your prospects. 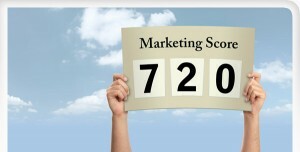 Keeping score will allow you to measure the effectiveness of your marketing efforts and react accordingly. Make sure you collect metrics from all of your marketing activities. Collect open, bounce and click rates for your email newsletter, and a call to action or freebie will help you measure the effectiveness of your direct mail campaigns. In terms of measuring the effectiveness of your website, Google Analytics is the best tool for quality feedback, and it’s free. Email subject lines. The content remains the same, but one subject may have a higher open rate. Call to action. Which call to action or freebie is more popular? Test different writing styles. Does your audience respond to a casual or formal writing style? Constantly testing your marketing message will dramatically improve the effectiveness of your future marketing. Make sure you take the time look at the metrics and see what the numbers tell you. Make the marketing numbers a part of your management meeting. You’re spending money, so make sure you’re getting a good return on your investment.